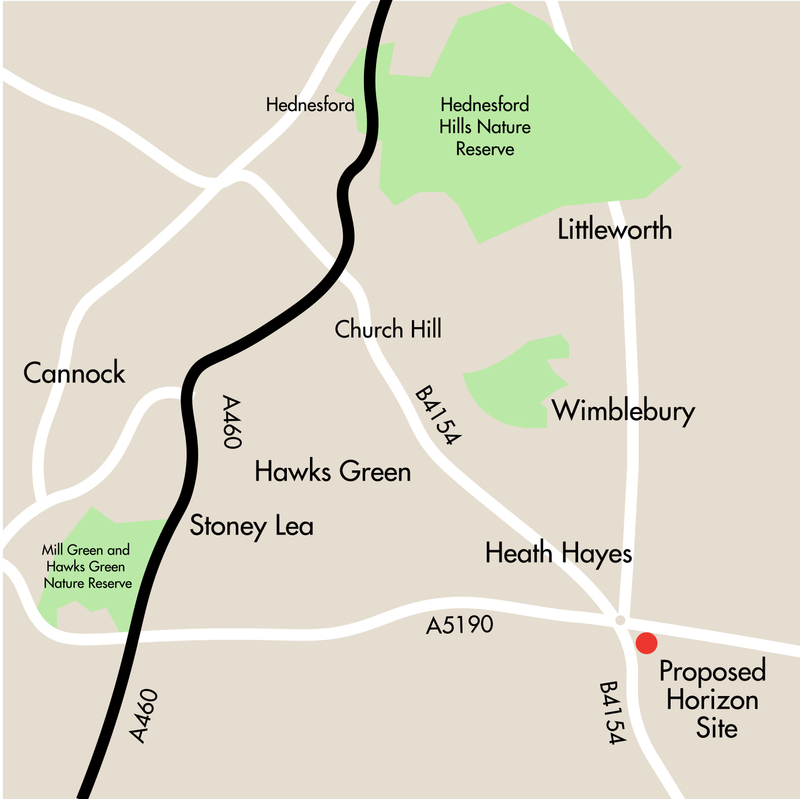 Although on the edge of the urban area of Cannock and previously developed, the site falls in the Green Belt. So, to build the crematorium, we need to show that there is need for this facility. Most Cannock residents travel to Stafford Crematorium, which is nearly 11 miles from Cannock – a long drive in a funeral cortege. Stafford Crematorium was built well over 50 years ago and was perfectly adequate when it was built. Now, though, its single chapel struggles to cope with demand and, consequently, families must wait around four weeks to secure a cremation in busy periods. Those heading south fare no better. Bushbury Crematorium in Wolverhampton and Streetly in Walsall are slightly nearer to Cannock and have two chapels, but both are far busier than Stafford and a recent planning inquiry showed them unable to cope with current demand. Horizon is promoting other sites in England, Scotland and Wales, including this one at Cannock. We will be holding an exhibition about the proposals between 13th and 15th September so you can ask us questions and give your views. We would particularly like to hear from you if you live near the site or have experience of attending cremation services in the local area. We are looking for feedback on the scheme. Do you like the architecture? Is there anything we can add to the layout of the building to make the experience of attending a funeral better? What haven’t we thought of? What are your experiences of local crematoria? We will feed your comments back to the design team, incorporating as much as we can into the plans submitted for planning.